Visiting onsen town Yufuin was part of my winter vacation 2012. After leaving Nakatsu I arrived in Yufuin (湯布院) which is also situated in Oita Prefecture. Oita is quite famous for onsen. Probably the most popular onsen town in Oita is Beppu. Yufuin is maybe less popular, but still a lot of people come there for only one reason: RELAXATION! 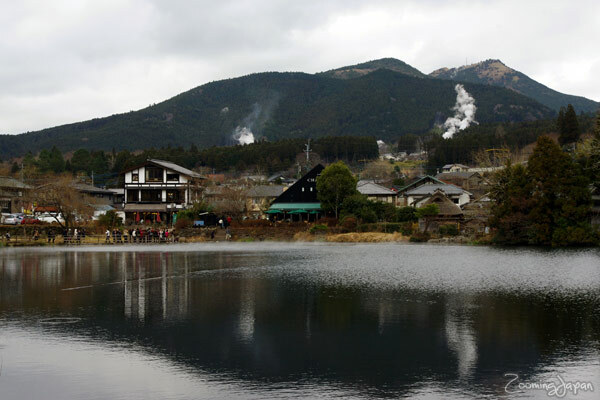 With a population of roughly 11.000 it’s a really small town, featuring mountains, lakes and onsen. 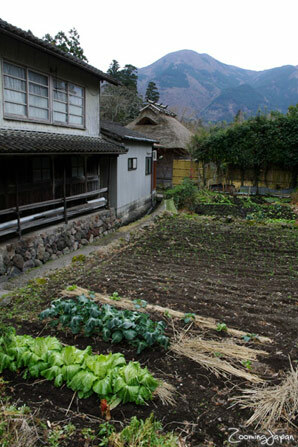 Yufuin was also the shooting location of the NHK drama “Kaze no haruka” (風のハルカ) . Are you ready to spend a relaxing day in Yufuin with me? After confirming when most shops would open (~ 9 a.m.) I left my hotel. It also had a small onsen, but nothing special. The nicer ryokan and hotels were all already booked out. I recommend to reserve hotels, hostels etc. in advance especially during high season. 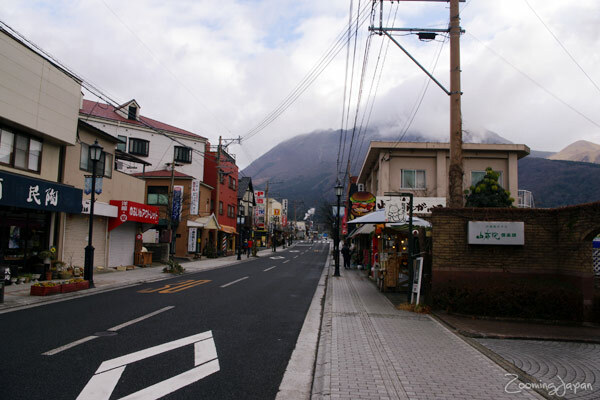 This is the long shopping street that leads from Yufuin Station towards the mountains. Right opposite to my hotel I ran into the best shop EVER, so I made a separate blog entry to introduce it. 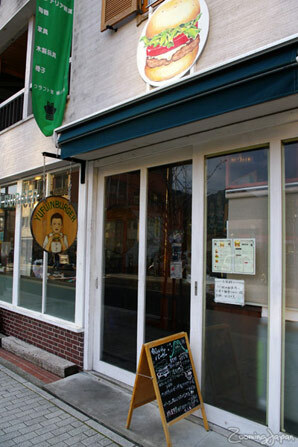 The shop is really easy to spot: it’s on the right side if you come from the station and opposite to “Yufuin Burger”. And then it was shopping time! It was too cold to do anything else anyways. 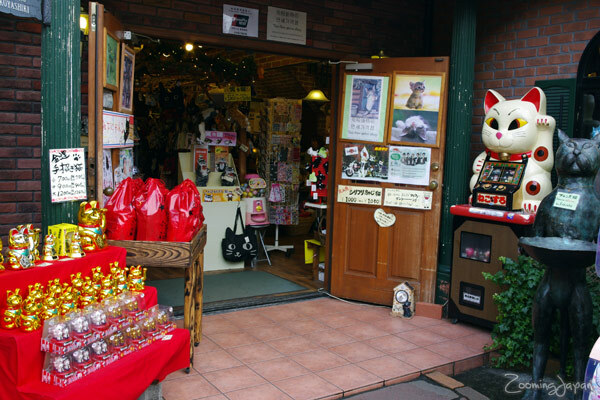 The cat shop had 2 floors featuring various cat products (e.g. 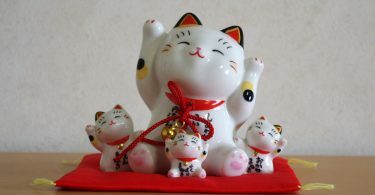 maneki neko). Obviously I couldn’t resist and bought a few things. All that shopping made me really hungry, so I had a little snack as it was still too early for lunch. I love “takoyaki” and “okonomiyaki”, but I’ve never seen “bakudanyaki” so far. “Bakudan” means “bomb” and refers to the food in ball/bomb shape. While you’re shopping you can also enjoy the awesome landscape (despite the cold). 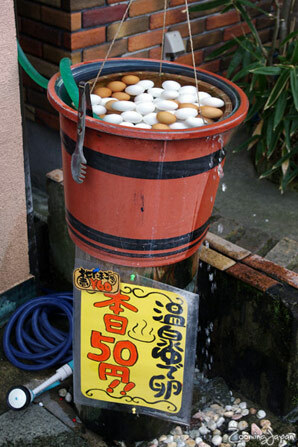 And what would a onsen town be without the obligatory “onsen tamago“? 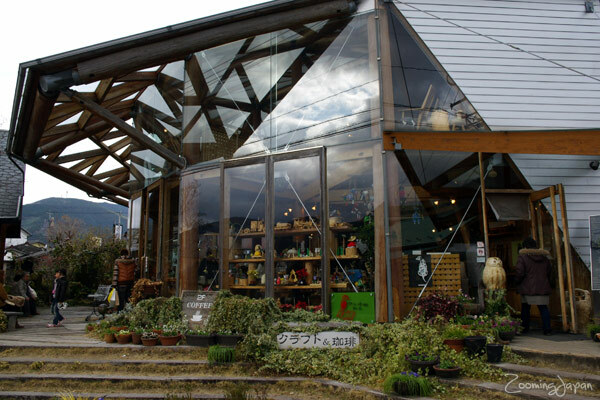 Apart from all the small shops there are also a few art museums in Yufuin. In this glass house they had a lot of awesome wooden artwork! Awww, so cute! 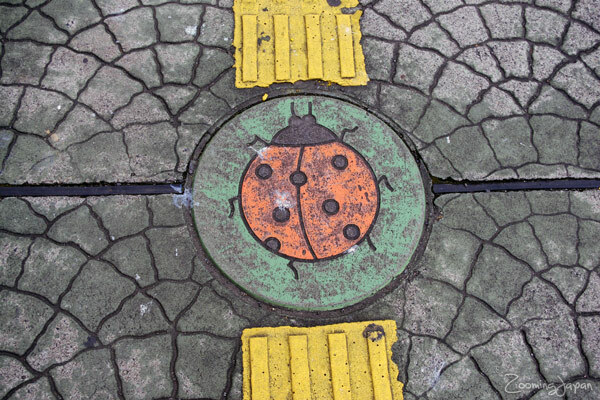 Is this the Japanese version of Herbie? Finally it was time for lunch! As it was so cold I went with a dango vegetable soup. 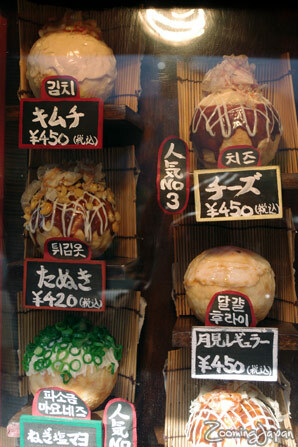 The dango in the soup were kind of strange … similar to mochi in soup, I guess. 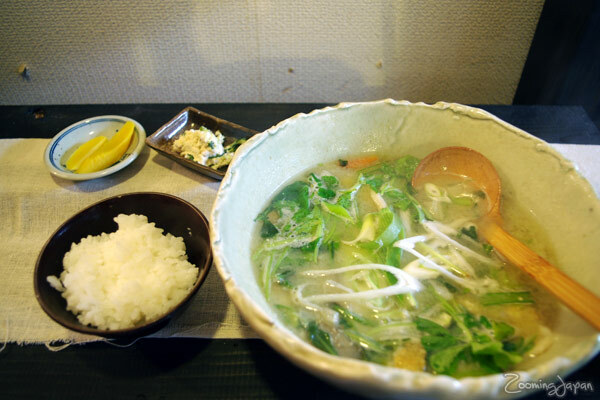 Warmed up by my lunch, I continued to explore Yufuin. 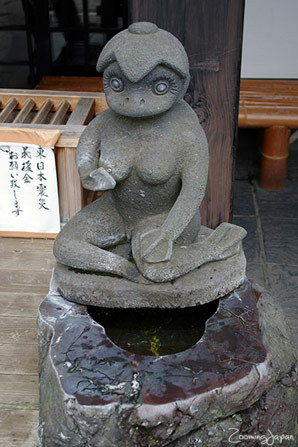 Kappa lady and more beautiful landscape. 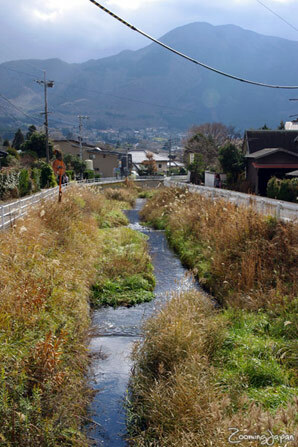 Yufuin: truly a onsen village! And then it was time for a coffee break. I’ve seen everything I wanted. I shouldn’t have planned a full day for Yufuin, it’s not really necessary! 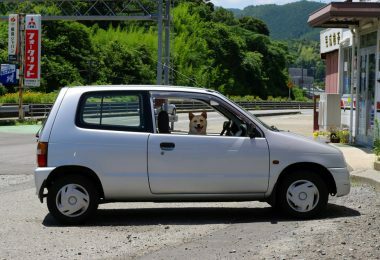 You can easily use this as a short side trip from Oita or Beppu! Took some more photos on my way back to the station. Yufuin Burger: looks yummy, too bad that I didn’t have the chance to try any. Remember, the cute cat sale booth is right opposite of that burger shop! 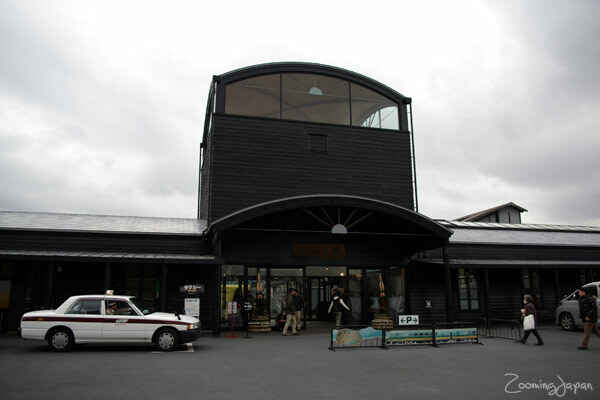 And this is Yufuin Station. Quite small, but with a nice waiting hall. Then it was time to leave. This time I was heading to Miyazaki. All in all I have to admit that I didn’t really like Yufuin all that much. However, that’s just because I LOVE sightseeing more than relaxing and shopping. Apparently there were mostly couples, families and female university students with their friends. I also saw a few foreigners. That was one of my absolute highlights, so I hope you’re looking forward to the post! I’m a cat lover and I’d want to visit the cat ”shops” in the future! It’s not sweet, it’s salty! Oh yah .. I guess I just got way too used to Japanese food which is why I don’t really post about it anymore. 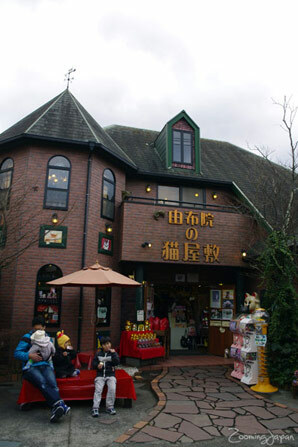 There’s also a remarkable cat shop in Takayama, worth the visit! You were in an Onsen town, how were the Onsen? I know, but I’m not an “onsen hopper” really. I only went to the one in my hotel! Oh, usually I freeze easily. Just when I’m traveling it seems like my body switches to a different “super” mode and so I can easily withstand the cold. 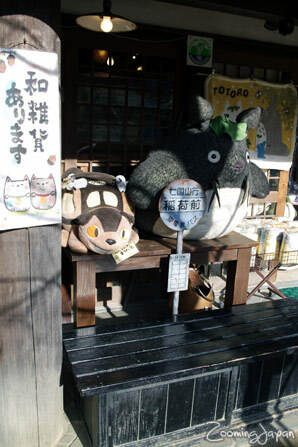 That cat shop looks awesome, and I’ve always wanted a huge Totoro plush! It does indeed seem like a great place to go shopping as well. Actually they had nice Kiki’s delivery service blankets and I was sooooo tempted to buy one (esp. because it was so cold all day long). If I wasn’t living in Okinawa, I’d want to live in Kyushu I think. I’ve had the good luck to tour there twice during the winter with my junior highs’ school trips, but I really need to make it back up for a more leisurely trek. So many amazing places to see there. Thanks for another unique view! Yes, Kyushu has a lot of awesome places to visit. I lived on a rather small island for 3 years (only 500 people), and so I got to know my students pretty well. I went with them twice as the semi-official photographer, though I took vacation time and paid my own way. I’ll probably get around to posting pictures on it, but since I can’t post pictures of the kids I’ll be a bit limited. There are a lot of amazing places to see in Okinawa! There are still many places I haven’t explored yet ^_^ Hope you get a chance to see it! Oh wow, that is small indeed! Are there any other foreigners? I am a little late visiting this post, as I seem to have missed it earlier. I went to Yufuin around 2 years ago, we went there on a day trip from Beppu. We were supposed to stay till 5, but were quite ready to leave by 3. 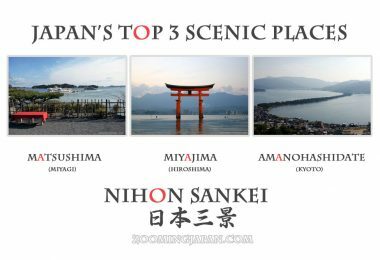 I agree that there isn’t too much to see or do unless you are an onsen fanatic. When I returned to Kyushu last year, I skipped Yufuin. 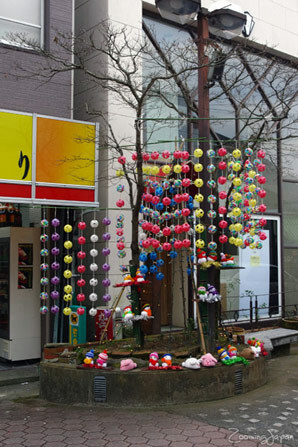 I think actually that Kinosaki is a much prettier town to go for onsen. Yeah, I think Yufuin might not be worth a second visit. there are some very nice winter photos of the place. I took the summer version, of course, but they are less picturesque. We stayed in an old traditional ryokan, where the friendly owner and an old housekeeper insisted on dressing the ladies [3 of us] in summer yukatas for dinner [and going to see some traditional local theater afterwards]. I am short, so it took quite a bit of folding and tying to get the length right! Wow, thanks for the link, those photos look quite inviting! We are planning to go to Japan in December this year. Yufuin is on our itinerary after Hiroshima, but after reading your blog that it’s not worth going then I might have to change to another location. 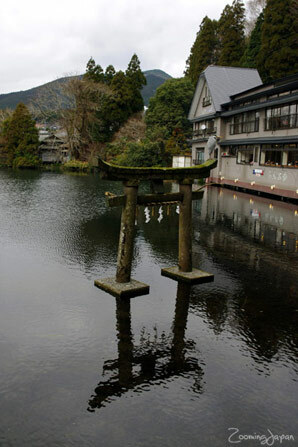 First, I was thinking of staying one night in Hiroshima from Koyasan then head to Yufuin for one night then to Kyoto. Where would you suggest after a night in Hiroshima? We stayed on Miyajima Island before and loved it, but we want to go somewhere we haven’t been this time. What’s Beppu like? First of all thank you for your comment and sorry for the late reply. As Simone mentioned I didn’t have any access to the internet. 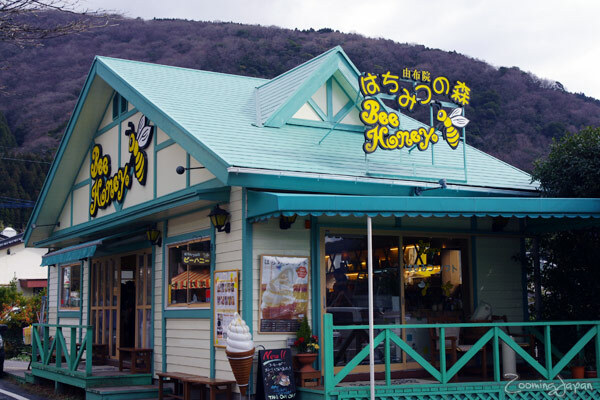 If I had to choose between Beppu and Yufuin I’d definitely choose Beppu! However, it’s a bit far from Hiroshima. It really depends on what you want to see. From Hiroshima you have a LOT of awesome options! Fukuyama with its caslte is very close and from there Onomichi is very near by local train. 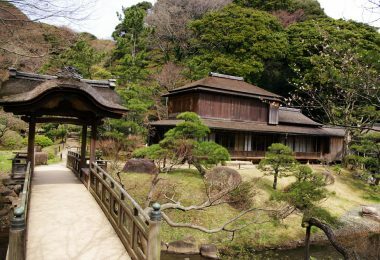 Okayama is absolutely beautiful, but it’s almost a waste to spend only ONE day there. You’d need more time. 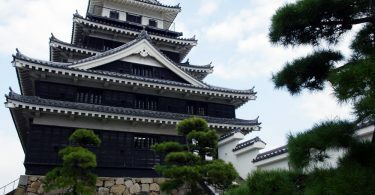 Very close to Hiroshima is also Iwakuni with a very famous bridge and small castle in Yamaguchi Prefecture. I didn’t have time to upload them here on my new blog yet. Since ‘zoomingjapan’ is not available right now, I will give you my suggestion [having been to all these places]. I think Beppu is fun. while it is touristy, still it is interesting because of all the colored hot springs. Our taxi driver there suggested it was like a miniature Yellowstone park. Beppu, is of course on Kyushu, a beautiful and interesting island. But it is a bit far from Hiroshima. 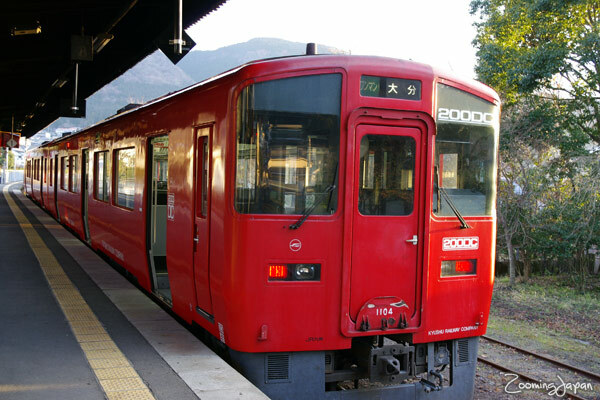 I would like instead to suggest Matsuyama, on the north-west coast of Shikoku, and easy to reach from Hiroshima. 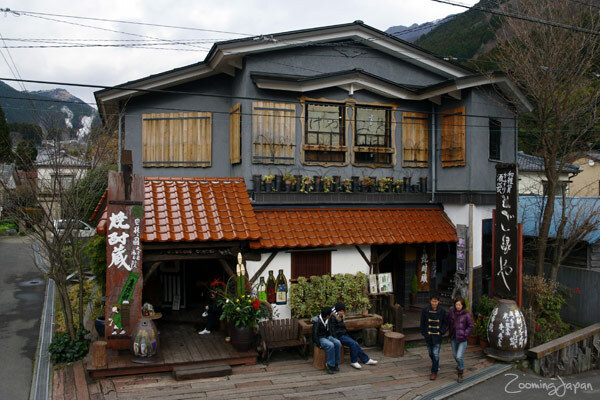 There is a very interesting castle, and a famous old onsen, Dogo Onsen. I have stayed at a nice business hotel, actually across from the Dogo, the Patio Dogo. A street car takes you from there to the castle. 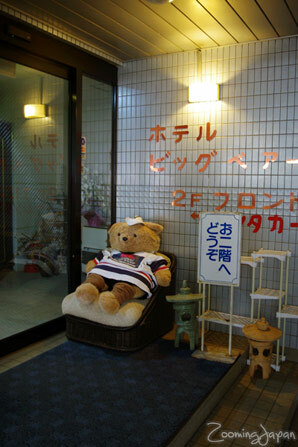 You can wear the hotel’s yukata to go to the Dogo Onsen, and you see groups of people in various hotel robes, each with their little basket of necessities, chatting near the entrance. You can Google Matsuyama and look at the infoand photos on the japan-guide page, of course. 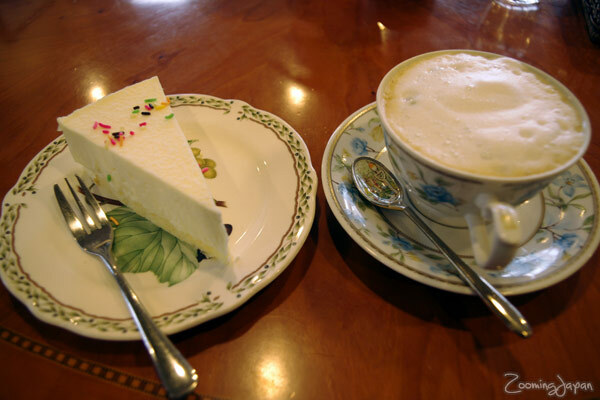 I was deciding whether to visit Yufuin and then I chanced upon your blog. I’m definitely going now!! However I’d like to know how long is the walk from Yufuin station to Lake Kirin? The shopping street seems quite long and I have only less than 4 hours there so I’m trying to plan my time. Thanks in advance! Don’t worry, just like Simone already mentioned you won’t have any time issues at all – as long as you don’t stop at every single shop in the shopping street. I’d suggest to first walk towards the lake and see what you want to see and on your way back you still can stroll slowly through the shopping street. As I mentioned in this blog post, I didn’t need a whole day for Yufuin at all. The shopping street is only a few min. walk away from the station (I’d say about 5 min. ), so no worries! Maria, ‘zoomingjapan’ has poor access to the internet right now, so I will answer your question. 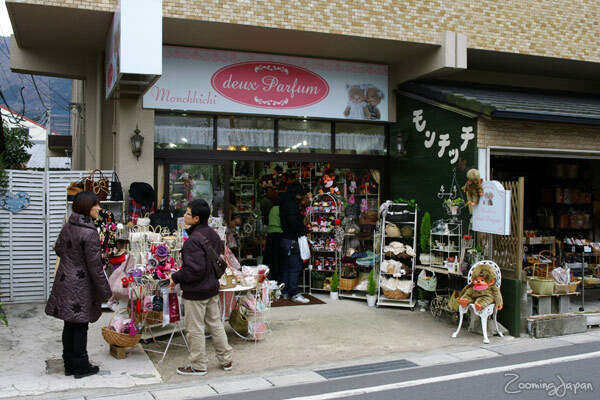 Yufuin is a very small town, the shopping street is not that long and you will have quite enough time to look it over. Many of the shops do not require more than a glance. It is an easy walk to the lake and around part of it. We got there at 10 am. By 2 pm I had seen everything more than once, and had a sit down lunch at a cafe. Then I waited for the others at the station. Even the die hard shoppers were done within the hour, and our poet had written some haiku by the lake!. Hello Simone, thank you for your reply! Okie I shall just stick to 4 hours at Yufuin! All the pictures looked so good I thought I needed to spend a day there. Love that cat shop! Looking forward to the trip in May! Thank you Zoomingjapan and Simone. We decided not to go to Yufuin or Beppu anymore. 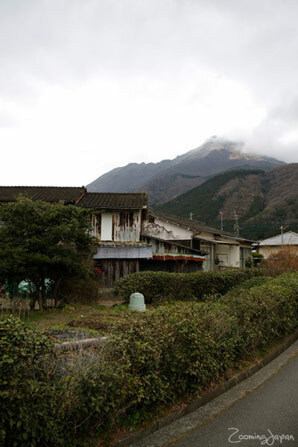 I’ve been doing a lot of research lately and found another onsen town called “Kurokawa” It looks really nice. So we are going to stay there for two nights. We’ll be staying for two nights in Hiroshima before we head to Kurokawa onsen. Thanks..This is a great blog. 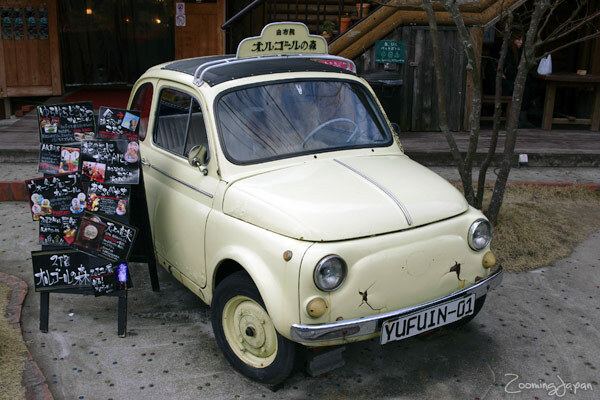 Great writeup…just visited Yufuin during the last week May. Peaceful onsen town. Found that a number of the Onsen allows day use for less than 1000yen. 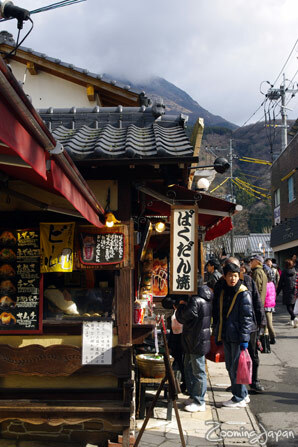 So if you are going there for a day trip, do plan for a bit of onsen hopping to truly enjoy what Yufuin has to offer. The outdoor onsen at Musuoen was scenic and the water temperature was just right. Hopefully will be able to try the others eg Baien on my next visit. I’m glad that you seem to have enjoyed your trip to Yufuin!